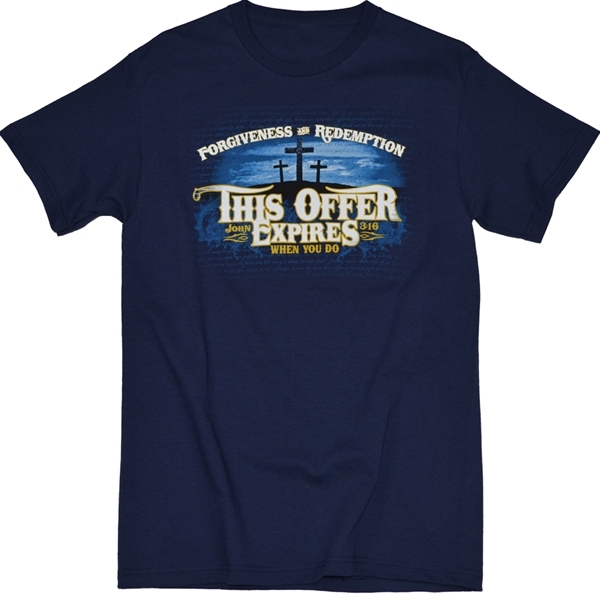 The front of this t-shirt reads "Forgiveness and Redemption, This Offer Expires When You Do." 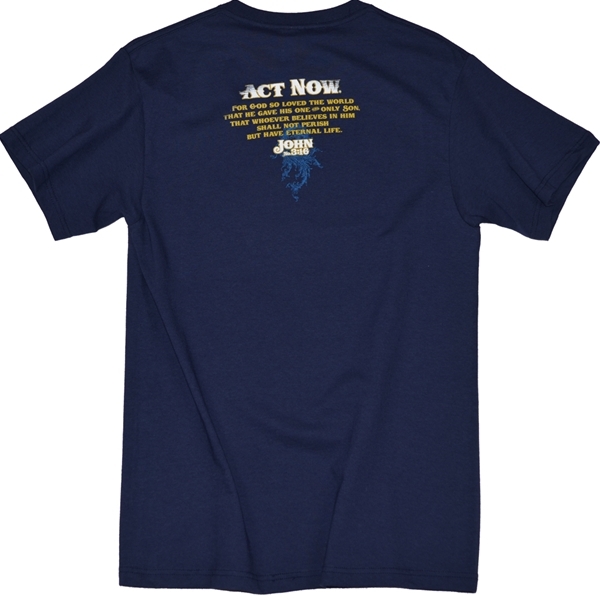 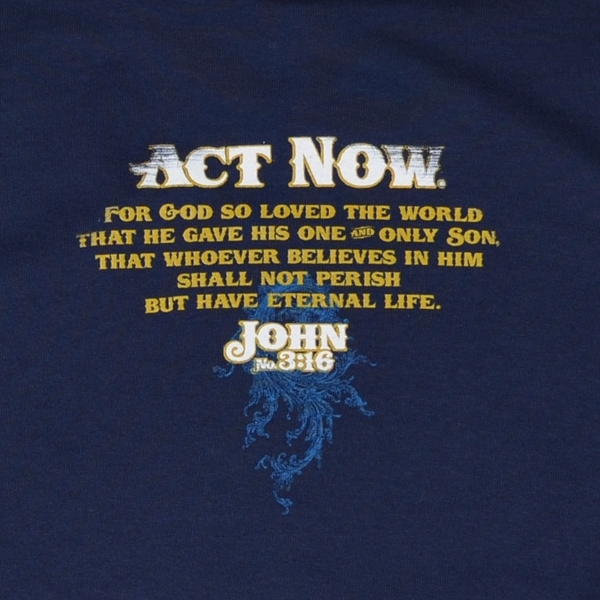 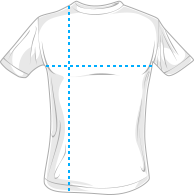 The back of this t-shirt reads "Act Now - For God so loved the world that he gave his one and only son, that whoever believes in him shall not perish but have eternal life. 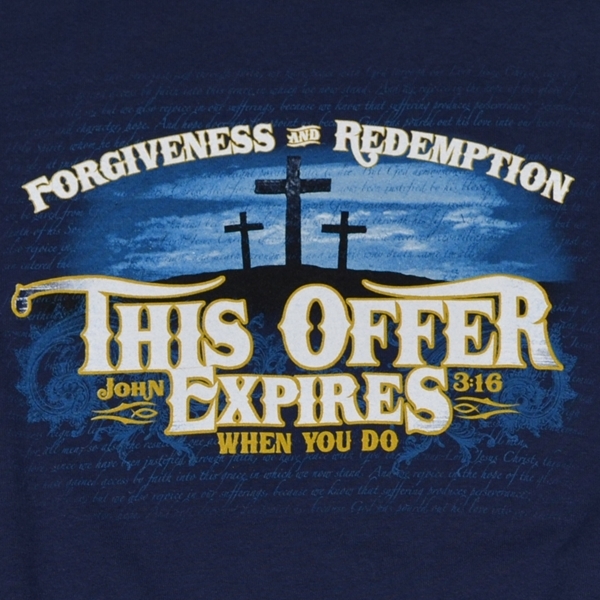 - John 3:16."